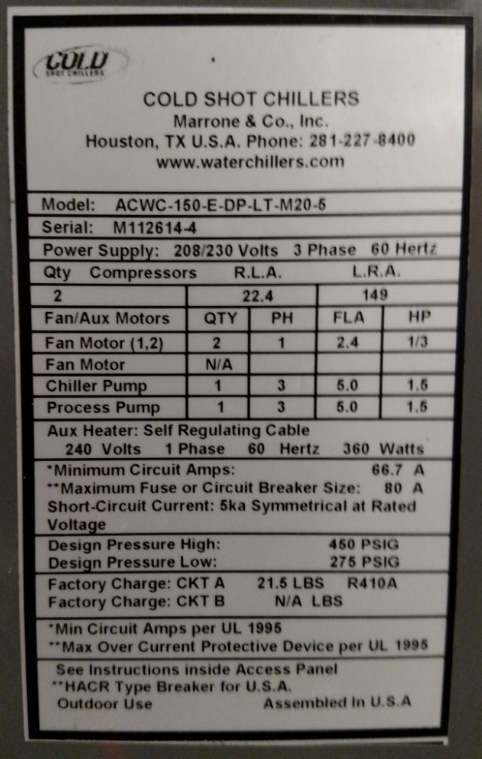 12.5 Ton Cold-Shot Chiller $12,500 or B.O. You are here: Home / Listings / 12.5 Ton Cold-Shot Chiller $12,500 or B.O. 12.5 Ton Two Compressor Chiller about three years old and very economical. See picture for label details. Excellent condition we cool 700 bbls of tanks with it!